Lewis Hamilton has ruled out any decision on his own future until Liberty Media unveils its plans for that of the sport. The Briton's contract with Mercedes runs out at the end of the season, and while Mercedes is keen to retain him - and no other teams appears likely to give him a title winning car any time soon - he is currently in no rush to make a decision. However, speaking to reporters in Bahrain ahead of his weekend's Grand Prix, the four-time champion admitted that he is waiting to see Liberty Media's plans for the future of the sport before considering his own plans. "There is an announcement to be made and it is interesting to hear what is happening as I am an integral part of it," he said. "It will be great to know how it is going to sit for us," he said of Liberty's proposal which will be made clear to the teams tomorrow. "Maybe it affects the driver market? Maybe it doesn't, but that is what I am interested to know. "It comes at a good time as I haven't put pen-to-paper. It is good for the team and good for me. It is important we take our time because you should never rush anything." Indeed, following Liberty's proposals for the new engine rules, Ferrari and Mercedes made their unease clear, the Italian manufacturer threatening to leave F1 for a breakaway series. 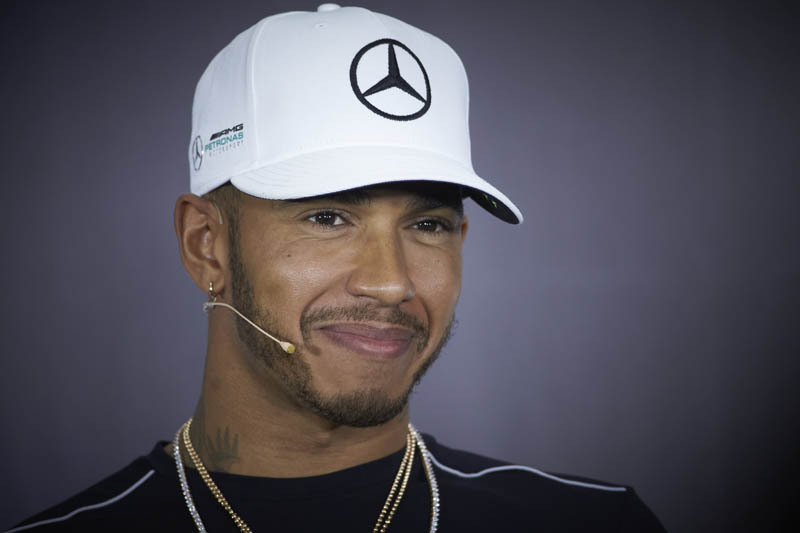 However, while Mercedes' future in the sport is equally in question, with the current rules set in stone until the end of 2020 there is nothing preventing Hamilton agreeing a new deal for 2019 and 2020 during which time he could well add a further two titles to his tally. "The last contract was the most important up until that point, and the next one will be even more important," said the Briton. "The decision as to how long you want to commit to Formula One is becoming more and more important, particularly for me as I am at the latter end of my career. "There is no rush and I will not be rushed into it," he added. "You want to have all the information so you can make the most knowledgeable decision." Check out our Thursday gallery from Bahrain, here. Unlimited DRS to aid overtaking? Brawn finds F1 DNA claims "personally offensive"
Liberty eyeing Saturday qualifying race? Brawn 'team' making progress with overtaking "force field"
I'm pretty sure that this is exactly what is going to happen. Bernie told me a couple of years back that he expected Mercedes to quit in 2018, I think they'll see it out to 2020... whatever proposals Liberty comes up with." "Whilst much has been made of Ferraris threat to walk away, nothing much on the Mercedes front, having achieved all they set out to do and probably more, could they call it a day after 2020?"